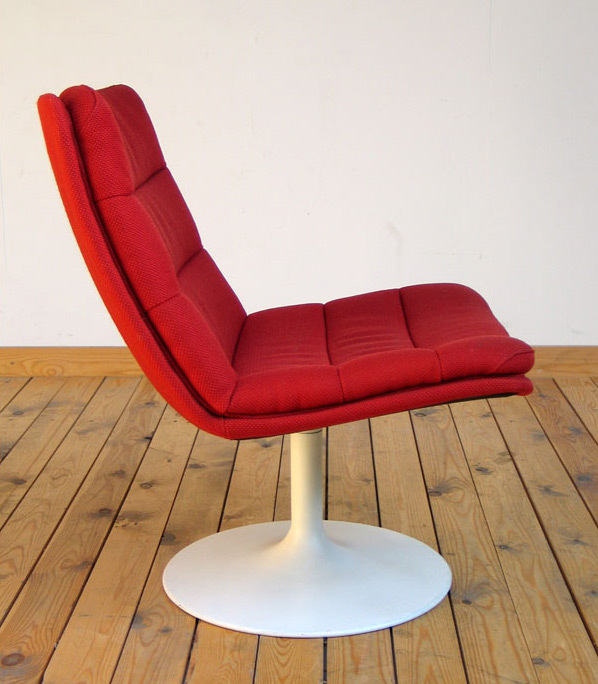 Modern swivel lounge chair designed by Geoffrey Harcourt for Artifort. Upholstery in red wool and Tulip feet in white. Would fit in any Modern Space Age, Panton, Colombo interior. Chaise de salon moderne pivotante conçu par Geoffrey Harcourt pour Artifort. Tapisserie d'ameublement en laine rouge et pied Tulipe blanc. S'adapterait parfaitement dans un intérieur moderne, Space Age, Panton, Colombo.